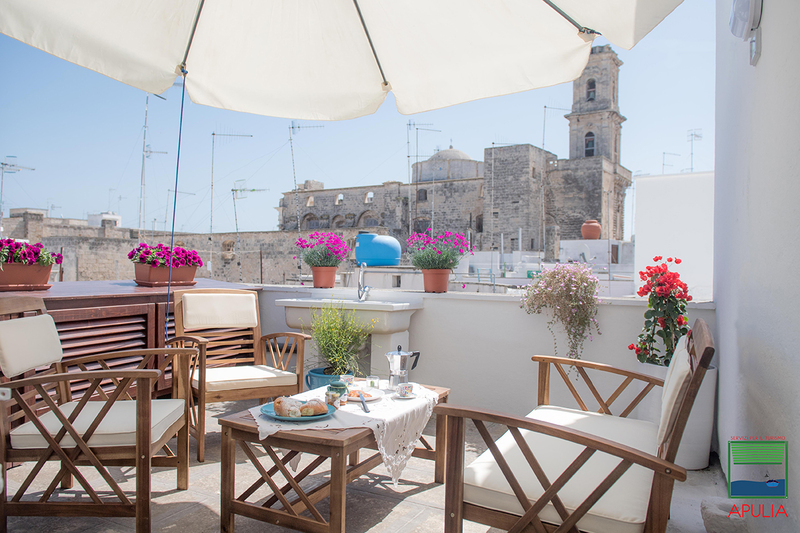 Apulia la finestra sul mare apartment, located in Via Barbacana n.54 in the earth of Monopoli old town, is nearby the beaches and the main important attractions of the city. The freestanding apartment, renovated with exposed tuff, is perfect for groups or families till 6 people. The house is on 5 floors: downstairs there’s the kitchen, on the first, second and third floors there are bedrooms for two people each one; on the top an equipped terrace with a nice view on the Monopoli old town. We offer discounts to our guests about rental bikes, tours (bike tours, walking tours in Monopoli old town, Alberobello and Itria Valley) and about typical Apulian products and souvenirs that you can find in our shop in Via Porto n.8-12.